The Hypnosis World was saddened by the loss of Michael early in 2018. His contributions to the practice of hypnosis, particularly its application in healing, are legendary. He will be sorely missed by many colleagues and clients alike. For the most part Michael ran his hypnosis practice in NYC, recently moving to Florida. This interview took place while he was still practicing in NYC. New York City Medical Hypnotist Michael Ellner is internationally acknowledged as an educator and author in the Hypnosis field. However, much is also owed to Michael for his dedicated efforts in helping to pave the way for Hypnosis to be accepted within the medical mainstream itself. I enjoyed learning of the many sides of this leader in the Hypnosis field from this interview as I am sure you will too. (Stephen Gruber www.ask-the-hypnotist.com). Stephen: Hello Michael and thank you for sharing your time with us today. Please take a moment to introduce yourself to our readers and tell them about your interesting websites. http:/www.quantumfocusing.com is the source for Alan Barsky and my guided self-help books and programs. http:/www.ellner.info/ gives people a look at my professional achievements and standing. 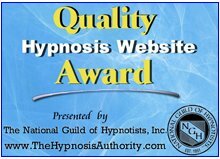 http:/www.nycanxietyhypnosis.com is more personal and is driven by blogs and assorted guided self-help videos. Stephen: Thank you Michael. Now I know that you have developed an international reputation as a leader for mainstreaming Hypnosis as a complementary modality within the medical system and as a clinical hypnotherapist but tell us if you will, how long have you been a hypnotist? ME Thank you, Stephen. I began my hypnotherapy practice in 1980 and then began re-inventing myself as a Medical Hypnotist in the 1990’s. I have rarely practiced hypnotherapy in the last 10 years (not that there is anything wrong with practicing hypnotherapy!). I was trained, certified and functioned as a hypnotherapist for the first 10 years of my practice and as I gained more experience in hypnosis, and healing in general, I began to re-invent my practice. I now teach a high percentage of my clients guided self-help techniques and motivate them to practice intentional relaxation and mindfulness on a daily basis as an alternative to conventional hypnotherapy. Stephen: Can you recall how you were first drawn to a career in hypnosis? ME : I remember it very well! I became interested in stage hypnosis at the suggestion of a friend's father. My friends had small magic acts and my friend's dad helped me develop a modest stage hypnosis act. My friends and I would spend hour after hour practicing our crafts and entertaining each other. As we improved, we happily performed for our friends families. Time tranced and danced by and I got caught up in the late 1960’s and lost interest in my hobbies and my hypnosis act. In 1979, I was reminded that I was able to hypnotize people when a friend mentioned that she was suffering from arthritis. She told me that the pain medicine stopped helping her and seemed to increase her pain instead. I shared that I was able to hypnotize people and wondered if hypnosis might be helpful. Our hypnotic session was in fact very helpful and led me to realize I could use my hypnotic skills and talents to improve the quality of life of people living with pain. After some encouragement from my friend, I decided to ride the hypnosis wave and am glad I did! Stephen: What do you enjoy about, or benefits do you personally receive, from your hypnosis work? ME : I get a great deal of pleasure and satisfaction from helping my clients improve their lives and also from teaching doctors, health care professionals and hypnotherapists my hypnotic and meditative approaches to help people help themselves. There is an added satisfaction knowing healing professionals are using my models and techniques to help their patients or clients. I have been invited to speak about and teach my models and techniques in Holland, Italy, the UK, South Africa, South America, Canada and across the US. I really love being able to work and play with some of the best hypnosis educators and practitioners in the profession! This year I have worked and/or played with Dan Cleary, Alan Barsky, Richard Nongard, Jacob Blimlich, Scott Sandland, Roy Hunter, Roger Moore, Robert Otto, Anne King, Jack Elias, Jim Duncan, Okka Holthuis, Sue Weinert Hull and Kelley T. Woods. Current projects along this line: Kelley Woods and I are writing a guided, self-help book for people living with chronic pain and we have other projects planned with Alan Barsky. Also, I look forward to teaching in London the end of October 2011 and hanging out with ace family therapist, Nath Welch, who has added “narrative hypnosis” to his toolbox. Stephen: Can you expand on the role you have played in introducing Hypnosis to the wider mainstream medical community and why you think this work is so important? ME : I continue to put a considerable amount of time and energy into promoting the inclusion of hypnosis and certified hypnosis practitioners into conventional medical practice and health care. We are slowly opening doors that had previously been closed but we have a long row to hoe and we need hypnosis and medical educators out there promoting hypnosis and certified hypnosis professionals! I believe it is an important investment of my time and energy because I know that including skilled hypnosis professionals in our local, national and international health care communities will lower costs and improve the over-all quality of medical and health care worldwide. In terms of promoting hypnosis and certified hypnosis professionals, I spent 4 years as an active member of a US National Institutes of Health (NIH) community research initiative for identifying and mainstreaming “Alternative” approaches to treating AIDS. I have also written dozens of guest columns, blogs and a peer reviewed paper focusing on adding hypnosis and certified hypnosis professionals to medical, hospital, rehabilitation and disability settings. I write for leading hospital, medical and therapeutic journals, websites and a peer reviewed journal. I have educated thousands of frontline pain clinicians about mind-body medicine and hypnosis via PAINWEEK, the major annual conference for frontline PAIN Clinicians. I have taught a wide range of other medical specialists and doctors about hypnosis and basic rapport building and effective doctor-patient interactions. Stephen: Now I know you have had recognized success in developing a hypnosis based approach to helping people suffering from Irritable Bowel Syndrome. Could you expand a little on what lies behind the success of your approach? ME : I have developed a reputation for helping people with a wide range of medically unexplained symptoms and functional syndromes based on my belief that human beings are designed to heal and self-regulate. I view chronic conditions and functional syndromes as a negative stress "freeze reaction”. I believe that the “freeze reaction” is behind the stuck emotional and physical states that people with chronic health problems and functional syndromes are dealing with. In the mid-90s I discovered that simply teaching these people how to de-stress, recharge and refocus their attention in ways that promote health and healing as part of the daily practice of intentional relaxation and mindfulness allowed them to re-boot their inner-healing resources and their symptoms would go in to remission. Alan Barsky and I offer hypnotherapists several guided, self-help programs. One of our programs is a guided self-help guide for people with IBS. The hypnotherapist guides the client through the self-hypnotic exercises in the program. The program is easily modified for a wide range of chronic conditions like FMS, CFS and Chronic Pain Syndromes (http://www.quantumfocusing.com). Stephen: I also know that your latest book, BEDSIDE MANNERS: The Pain Clinician's Guide to Effective Medical Communication, is receiving ringing endorsements from members of the medical community. Can you give us some insight of why you thought it was important to write a book on this subject? ME : I am confident that better doctor-patient communication leads to happier patients, greater professional satisfaction and better patient outcomes. Although, BEDSIDE MANNERS is aimed at frontline pain clinicians, my guide can be easily modified to help all physicians, medical students and hypnosis practitioners become more effective in all their patient/client interactions. Stephen: Have you experienced any personal benefits from using hypnosis for yourself that you would care to share with our readers? ME : Yes, in a big way! I have found the daily practice of intentional relaxation and focused attention has improved my personal and professional life and I am sure it has contributed to my effectiveness as a basic human being and hypnosis professional and educator. Stephen: What issues do your clients typically come to you for help with Michael in your daily practice? Do you specialize in helping people with certain issues? ME : I specialize in helping people take charge of their lives, health and/or careers. Basically, I have an eclectic practice and I help clients get unstuck or stay on track or take the suffering out of pain, overcome fears, increase their coping skills and abilities and study and take exams more effectively. Also, I help clients stop smoking and/or take charge of their weight. I love my work! Stephen: Is there something different or especially emphasized in your approach to helping people with hypnosis work that you would like to tell us about? ME : I utilize and teach conversational hypnosis in my hypnosis sessions and in my advanced trainings. I also focus my attention and teach hypnosis practitioners to focus their attention on their clients’ abilities and what they can do well, rather than on their perceived disabilities and what they can't do. I have found that as soon as clients learn how to transform their negative-stress reactions to life into positive-stress reactions, it promotes feeling better, healing better and generally being more effective in life, which makes it a lot easier to reach and maintain their goals. Stephen: In addition to seeing clients in one-on-one sessions, I know that you provide training and much resource support for people to become Hypnotherapists. From your years of experience, What do you think are some of the most important attributes a person would need to become a successful Hypnotherapist? ME : Good listening skills, enjoying being with people and being able to take a light hearted approach to serious issues are essential ingredients to being a highly effective hypnosis practitioner. Stephen: What is the most frequent misunderstanding about hypnosis that you encounter with clients or the public Michael? ME : The two misunderstandings that keep popping up are the fear of losing control and the belief that through hypnosis they can be MADE to do or not do something. Stephen: As we both know, Hypnosis as a healing and helping modality has existed for hundreds of years now. However, it is more widely known and more accepted in some areas more than others. 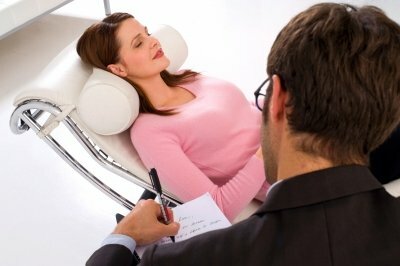 How would you rate the public acceptance of hypnosis/hypnotherapy in the New York region? ME : Tens of millions of people in the Tri-state area (NY-NJ-CN) are not well informed about the benefits of hypnosis. Mostly, hypnotic assistance seems to be the last resort for the uninformed. Stephen: Other than of course your own books, Do you have a favourite book Michael on hypnosis that you would recommend to others? ME : Daniel F. Cleary's new book TARGETING PAIN A Practitioners Guide to Relief is outstanding and highly recommended. I also recommend, A CRITICAL History of Hypnotism, by Saul Rosenfeld to anyone who is interested in hypnosis. I have read and reread this book several times and I always enjoy it, even though I do not agree with Saul's opinions concerning stage hypnotists. Another new book that I recommend, Calm Your Tinnitus: Hypnosis and Mind/Body Healing to Alleviate the Suffering of Tinnitus, by James Malone for anyone interested in a solid program for helping clients with Tinnitus. Stephen: Michael, based on your experience, how do you see the future of hypnotism in the US? ME : Hypnosis continues to be surrounded by misconceptions and bad press while many unacknowledged forms of hypnosis like EFT, Cognitive therapies and mindfulness are gaining acceptance. If hypnosis practitioners do not wake up and smell the herbal tea, they may find themselves becoming obsolete! The reason hypnosis is listed as a complementary and alternative modality, even though it is evidence based, is that not enough medical professionals use or prescribe hypnosis for it to be considered part of conventional medical practice. We are making progress, but the unacknowledged forms of hypnosis I mentioned are currently enjoying a greater amount of positive attention. Stephen: Is there anything else that you would like to expand upon or add that we have not covered? ME : There are many hypnosis/NLP trainers and educators out there. Many of them are excellent and many of them are lacking! I recommend studying with a teacher or trainer who actually assists clients and who is connected to his or her health care community and yes, I offer one-on-one mentoring for newly certified and seasoned hypnosis professionals in addition to my trainings. Stephen: Thank you Michael. Can you tell our readers who are interested in learning more about your hypnosis work, which is the best way to get in touch with you? ME : You can email me at revdocnyc@aol.com. Thanks again, Stephen, I really enjoyed answering your thought provoking questions.